iCUBE is a logistic robot, automatically handling and storing goods in cooled warehouses. Due to MG’s clever solutions, it even controls its own batteries, checking their power and charging them at the nearest station. All in ambient temperature of -20 ° C.
Because iCUBE doesn’t use forklifts to transport pallets, it utilizes less energy, less cooling and less oxygen. Employees no longer need to work in low temperatures, thus providing better working conditions and lower labor costs. Logiqs’s iCUBE is an intelligent solution for automated handling and storage of goods in warehouses. It makes optimal use of all available space by transporting pallets on 3D-carriers and VT lifts, without the need of forklifts and -lanes. 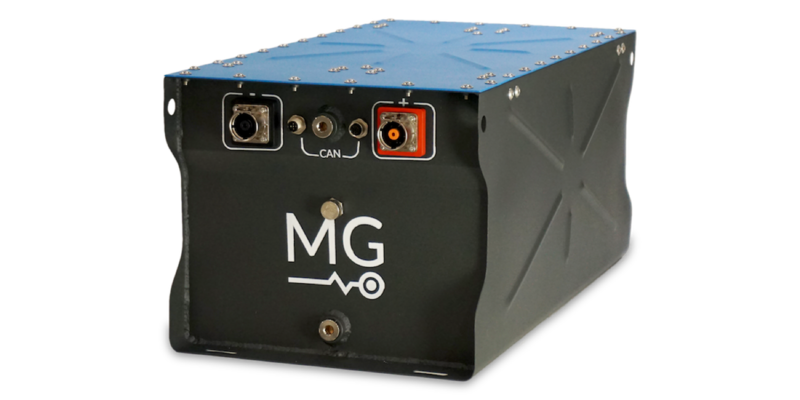 MG provided the iCUBE with an equally intelligent battery solution, featuring MOD-Bus communication between the battery and the PLC controlling the carrier. This way the iCUBE can automatically detect a low battery and charge it at the nearest station. Since iCUBE is mainly utilized in cold storage, the operation of the carrier, and thus MG’s battery system, is cleverly designed to operate in ambient temperature of -20 ° C.